The Tri-Cities largest community, Kennewick covers 25 square miles and features a solid, growing economy supported by retail trade, services, light industry, and food processing. In the heart of Washington State Wine Country, the scenic rivers, appealing weather, and countless recreation activities make Kennewick an attractive destination to visit, live, and work. Whether for business or pleasure, friendly locals welcome you to #ShopKennewick, #PlaySouthridge, and #ChooseFun! 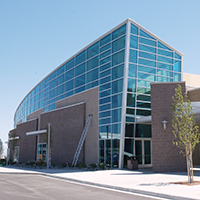 Considered the retail hub of southeastern Washington and northeastern Oregon, Kennewick’s reputation for fun is evidenced by sports and entertainment venues, public art, and a casual, easy-living vibe. From fast-paced indoor football and ice hockey action to entertaining Broadway musicals and big name acts, the Three Rivers Entertainment District is home to the Toyota Center and Three Rivers Convention Center. The 2015 completion of a new hotel connected to the Convention Center is expected to attract even more visitors to the area. Hotel accommodations, the nearby Columbia Center Mall, and a variety of dining choices make this a visitor-friendly fun zone for all ages. The Southridge Sports and Events Complex, a 52 acre state-of-the art multi-use development attracting over 100,000 visitors per year, features a 30,000 square foot indoor pavilion used for both sporting activities and events. The complex is also home to the 102-year-old, fully restored Gesa Carousel of Dreams, a beautiful work of art where memories are made, and the 9-11 Memorial, proudly constructed with a 30-foot steel beam recovered from the World Trade Center Twin Towers. Escape to Historic Downtown for specialty shops, spirits, galleries, and a unique taste of Kennewick. From nostalgic to whimsical, admire streetscape art en route to Clover Island, and unwind on the waterfront and spectacular views of the Columbia River. Golf at one of three courses or bask in the sun at one of Kennewick’s 27 beautifully maintained parks. Columbia Park is the Mid-Columbia’s premier outdoor gathering place hosting over 75 special events annually, including the July 4th River of Fire Festival and the Water Follies Columbia Cup Hydroplane race. For the 50th year, tens of thousands of spectators will line the shores of the Columbia River the last full weekend in July to watch the world’s fastest boats and air show.